Among other Asian markets, Japan\'s Nikkei rose 0.15 per cent, while Hong Kong\'s Hang Seng gained 0.52 per cent in early trade today. 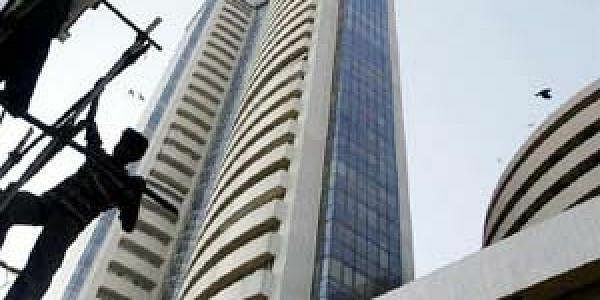 MUMBAI: Continuing their record-setting spree for the third straight session, the benchmark BSE Sensex crossed the 29,000-mark for the first time and the NSE Nifty hit a new peak of 8,754.65 in opening trade today on robust fund inflows amidst a firming trend overseas. Besides, optimism among funds and retail investors over encouraging Q3 earnings by bluechip companies, so far, also buoyed trading sentiments, brokers said. The 30-share index crossed the landmark 29,000-level for the first time by surging 124.02 points, or 0.42 per cent, to hit yet another high of 29,012.88, breaking its previous record of 28,958.10 (intra-day) touched yesterday. The gauge had rallied by over 1,542 points in the previous five consecutive sessions. All the sectoral indices, led by metal, FMCG and healthcare, were trading in positive zone with gains up to 1.01 per cent. Surpassing all previous records, the 50-share NSE Nifty gained 25.15 points, or 0.28 per cent, to hit a new life-time high of 8,754.65. It had touched the intra-day record of 8,741.85 yesterday. Brokers said market has turned extremely bullish since the RBI's surprise rate cut last week, triggering heavy purchases by foreign funds and expectations of fall in subsidy bill following slump in global crude oil prices. Further, extended rally at other Asian bourses following overnight gains on the US markets, expecting the European Central Bank to announce stimulus measures during its meeting, buoyed trading sentiments here. Among other Asian markets, Japan's Nikkei rose 0.15 per cent, while Hong Kong's Hang Seng gained 0.52 per cent in early trade today. The US Dow Jones Industrial Average closed 0.22 per cent higher in yesterday's trade.